Today's guest is Laura Simeon, Learning Commons Director & Diversity Coordinator at Open Window School in Bellevue, Washington. Thanks for playing, Laura! You know the drill. You should never read and (blank) at the same time. Well, if you stretch the definition of “reading” to include listening to audiobooks, many seemingly impossible combinations can be achieved! And thanks to my nifty bookstand I am able to read and knit at the same time: my two favorite pastimes combined! If you were invited to be on Oprah, what book would you bring for her to read? My Sister Lives on the Mantelpiece by Annabel Pitcher. It’s a book we need now more than ever, about choosing love and forgiveness and healing in a time of great tragedy. What is the funniest book you’ve read? For adults, it would have to be any of Jasper Fforde’s Thursday Next literary detective series. They are absolutely hilarious and the book-related plots and puns are like catnip for librarians. One that really stands out for middle grade readers is The Incorrigible Children of Ashton Place: Book I: The Mysterious Howling by Maryrose Wood. Any child who at times wants to behave as if they were raised by wolves (and are there any who don’t?) will enjoy its madcap antics. For adults I’d have to say Heather Andrea Williams’ Help Me to Find My People: The African American Search for Family Lost in Slavery. She quotes from letters and newspaper advertisements that will rip your heart out – and the losses these families suffered cast a long shadow. So Far from the Bamboo Grove by Yoko Kawashima Watkins is the harrowing true story of what befell the author and her siblings following World War II. Middle and high school readers will be riveted; the impact of war on kids their age isn’t something that comes up a lot in history textbooks. A nice cup of tea and a plate of British biscuits (cookies) always hit the spot – chocolate Hobnobs, Garibaldis, digestives, Rich Teas – not too sweet and also substantial enough to keep you going so you can read longer! 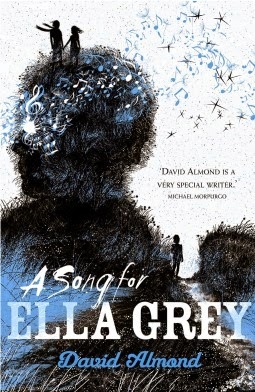 The teen book I’m most excited to pick up next is A Song for Ella Grey by David Almond, a magical writer from Northumberland, where I had the best holiday of my life a couple of years ago. For adults, it would be The Interpreter by Suki Kim. I just finished her deeply moving memoir about teaching English in North (!!) Korea and was glad to see she’d written a novel too. Teachers, librarians, reading coaches, principals, custodians, lunch ladies, anyone with school connections: Please play along! Email me here and I'll get you the questions so you, too, can be featured on Teacher Tuesday. I hadn't heard of any of these books. Thanks for the recommendations, though my TBR list grows ever longer. Thanks for letting me play, Kirby! It was fun. Love your blog (and your books)!